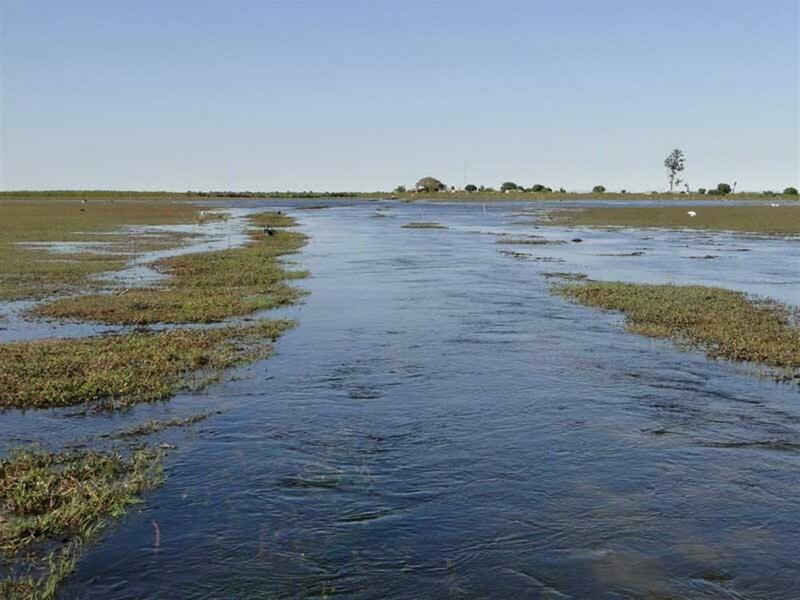 Starting just 50kms to the North of Kasanka are the vast Bangweulu Wetlands. The area is divided into 3 main habitats: open water to the North West (near Samfya), huge swamps in the middle and, around the southern and eastern fringes, seasonally flooded grass plains. 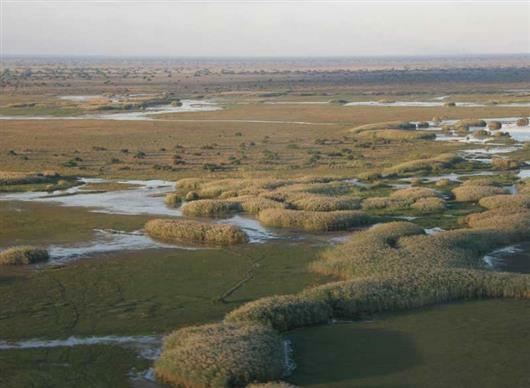 It is largely this latter habitat and the swampy Lukulu River which are of interest to visitors. 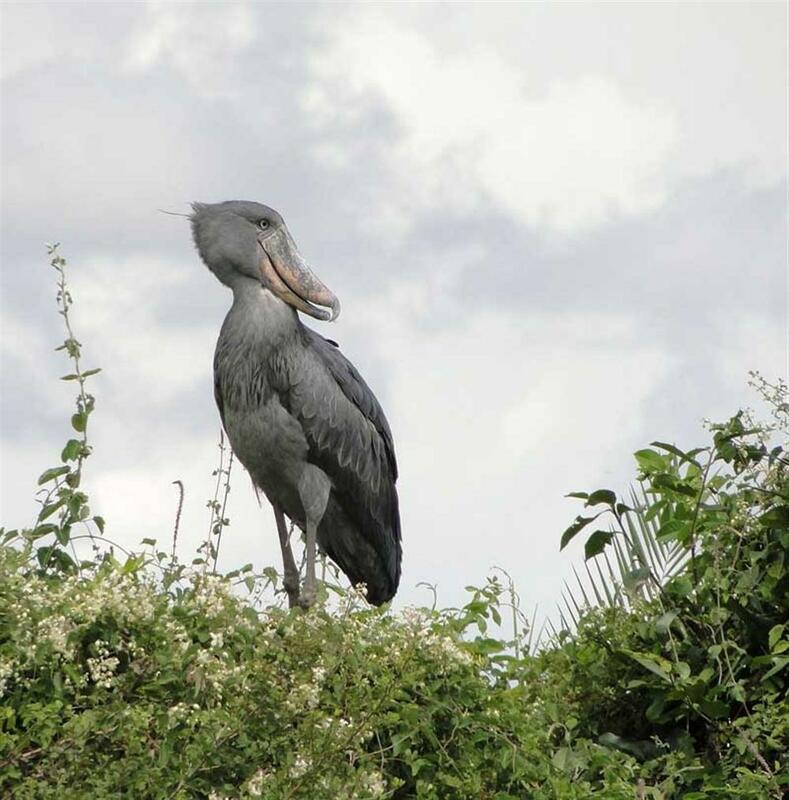 They support an incredible diversity of water-birds and plains-birds, including the Shoebill, and are home to massive herds of Black Lechwe, and attractive species found only in the Bangweulu. 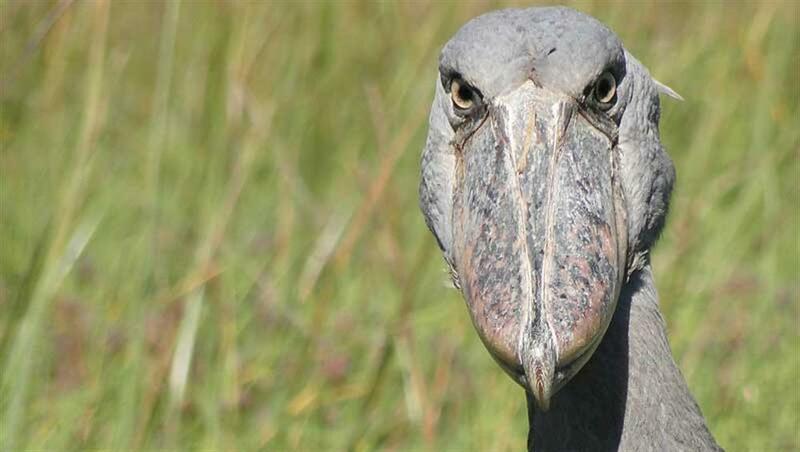 Shoebill Island Camp offers accommodation in safari tents under thatch roofs and reed cottages. 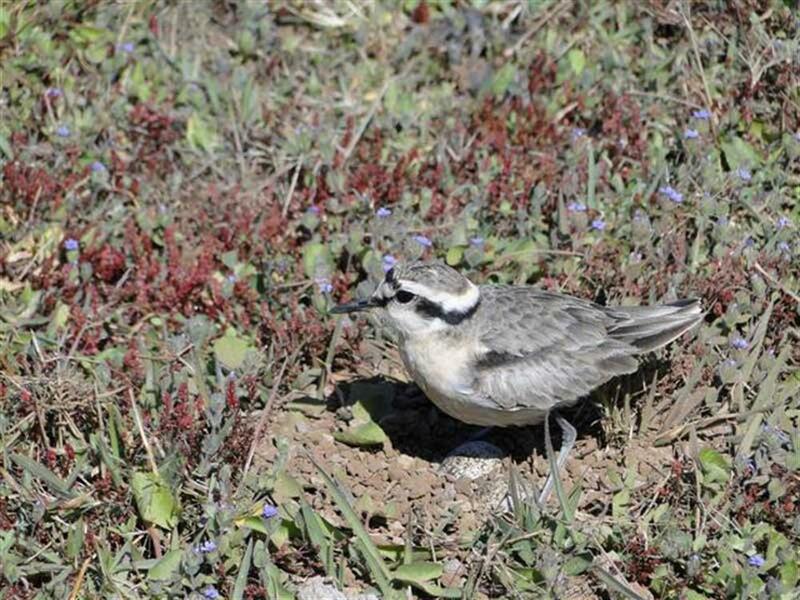 Each has 2 beds, an en suite shower and flush toilet. 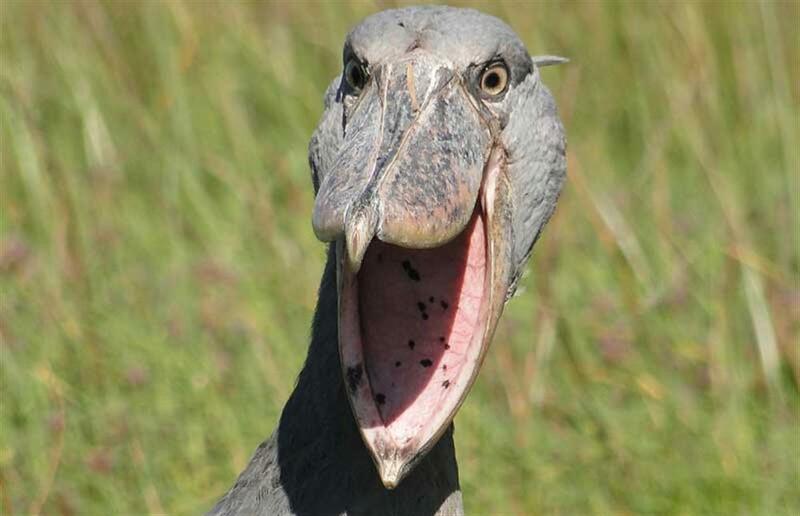 The island itself has panoramic views over the swamps and gets its name from the Shoebill, which are usually in reach of the camp. Boating can be arranged in banana boats or mekoros. 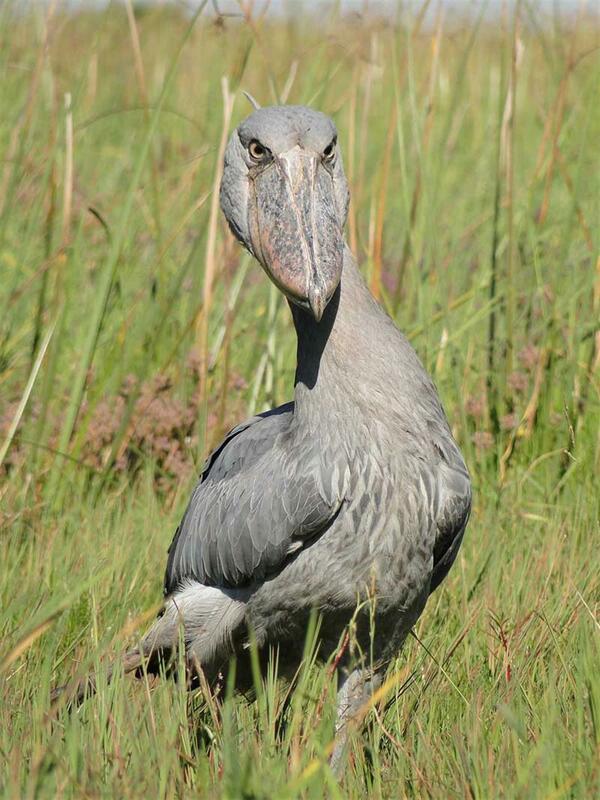 March and April offer an amazing watering wilderness for the adventurous, with Shoebills often visible from camp. 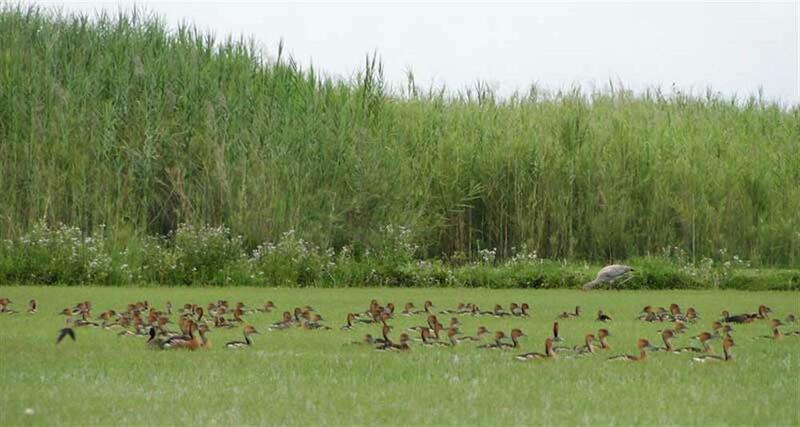 Bangweulu is a great draw for birdwatchers attracting a profusion of waterfowl. 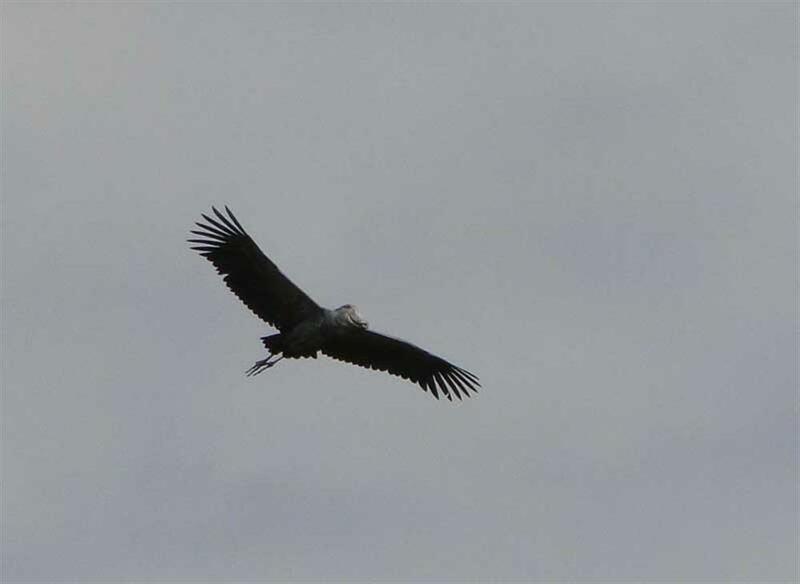 Wattled crane, Saddle-billed stork, Spur-winged goose, Sacred Ibis, Glossy Ibis, Black-crowned Night Heron, White-cheeked Bee-eater, Swamp Flycatcher, Pink-throated and Fulbourne's Longclaw, Denham's Bustard and numerous ducks live here.